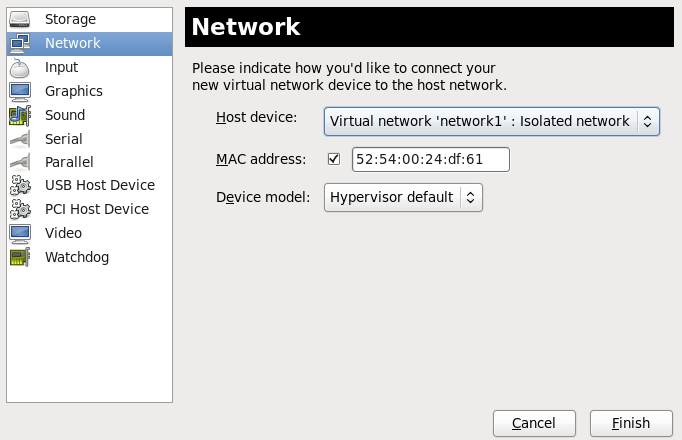 In the Virtual Machine Manager window, highlight the guest that will have the network assigned. From the Virtual Machine Manager Edit menu, select Virtual Machine Details. 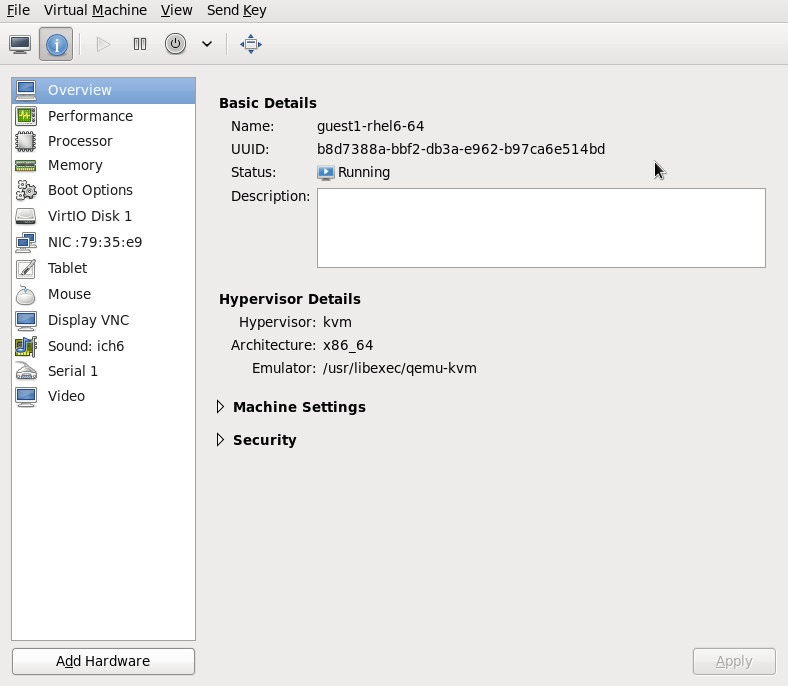 Click the Add Hardware button on the Virtual Machine Details window. 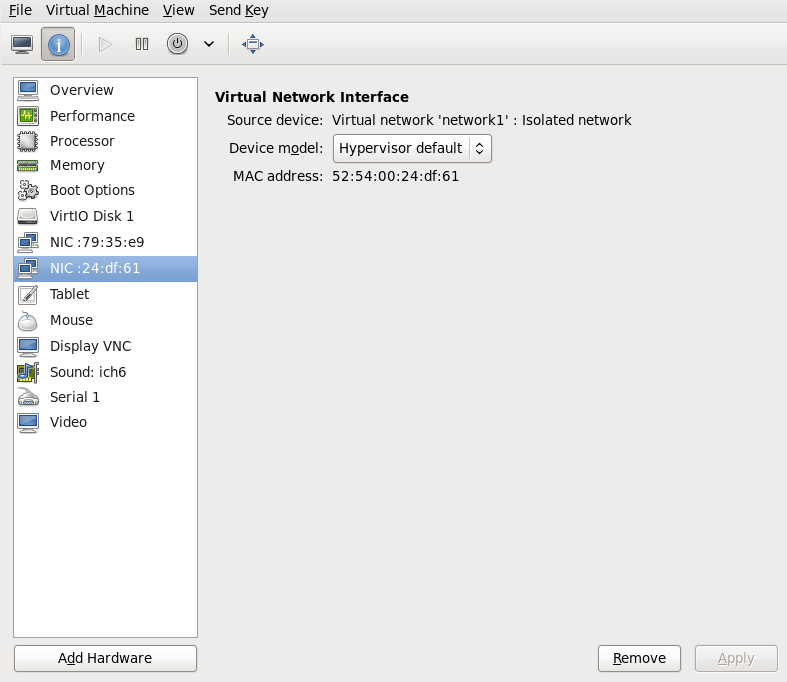 In the Add new virtual hardware window, select Network from the left pane, and select your network name (network1 in this example) from the Host device menu and click Finish. The new network is now displayed as a virtual network interface that will be presented to the guest upon launch.